My custum furniture is designed for both function and beauty. I don't currently have any furniture in stock for immediate sale but I am working on a couple beds. 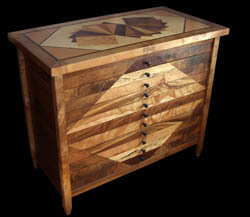 Let me know if you would like to commission a piece of furniture. 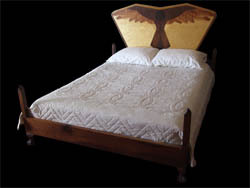 The design of the bird on the head board of this bed is made from wood veneers. 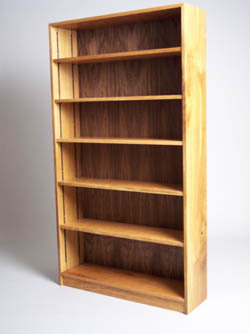 The design aspects of working with wood veneers are similar to those for working with stained glass, although the actual techniques of cutting and assembling a piece are quite different. I enjoy both mediums.